South Pacific Familyadventure 2008 - Perkins 4108 - Thank you Mr P !! Title: Perkins 4108 - Thank you Mr P !! 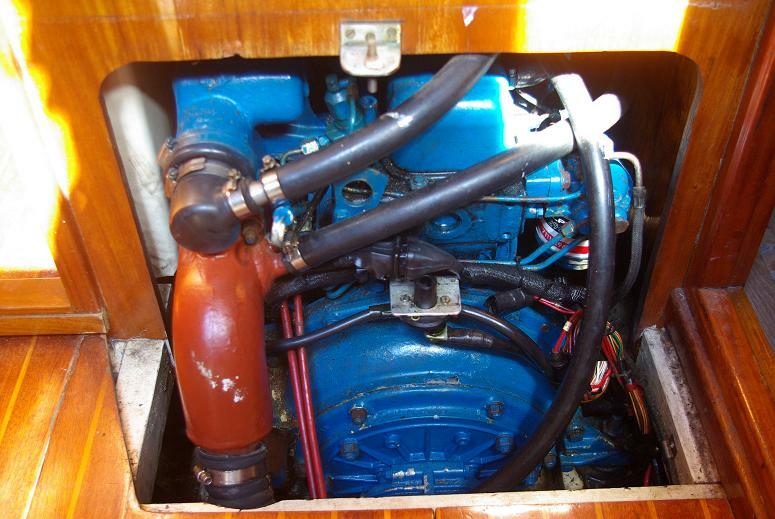 In 2005 we choose between buying a Yanmar diesel and do a new installation,or overhaul our old Perkins to avoid a new installation.The choice fell upon overhaul by Perkins in Stockholm,and the engine was completely stripped,overhauled,and reinstalled. With history in our hand this was a good choice. This engine has been working beautifully,and we have fully learned to trust it.Under way from Marquesas to the Tuamotos we lost contact with the starter engine during a passing night squall.After faultsearching we found a defect contact easily replaced (the kind of fault you like as a cruiser).When headwindsailing over Kategatt in Sweden this summer the engine stopped due to bacterias/fungus in the diesel.After filterchange and bleeding of the system it has worked fine(a problem with our new "environmental diesel" in Europe). As a conclusion this engine has never had any serious problems and we are happy we choose to overhaul and keep it. Thank you indeed Mr P!! !